Bob Zeihen's Albany Yankees up by one in this May 1990 game, Zeihen appeared to hit into an inning-ending double play, The Schenectady Gazette wrote. But then a balk was called. Back at the plate, Zeihen took that break and knocked a single, The Gazette wrote, extending the Yankee lead to two as the Yankees soon tacked on two more. "On the balk, we got a break and we capitalized on it by hitting the ball," Albany manager Rick Down told The Gazette. "We took advantage of it." Zeihen took advantage of that situation in his third pro season. It was also his last pro season, his career ending at season's end. 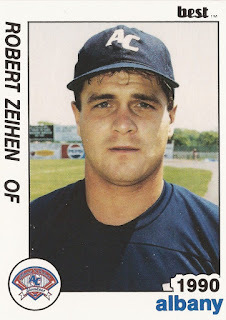 Zeihen's pro career began in 1988, taken by the Yankees in the 23rd round of the draft out of Indiana State University. At Indiana State, Zeihen holds the school's all-time record for games played at 235, runs scored at 234, hits at 290 and triples at 32, according to the school's record book. He also led his team in stolen bases as a freshman in 1985. With the Yankees, Zeihen started at short-season Oneonta, also getting playing time at single-A Prince William. Between the two, he hit .299 with 27 RBI. In an August win with Prince William, Zeihen doubled and scored. For 1989, Zeihen moved to single-A Fort Lauderdale, playing there the entire season. He hit .252, with 46 RBI. That May, Zeihen tripled and scored in a Yankees win, picking up three hits in another game. In August, Zeihen drove in the tying run with a double, then scored the winning run. 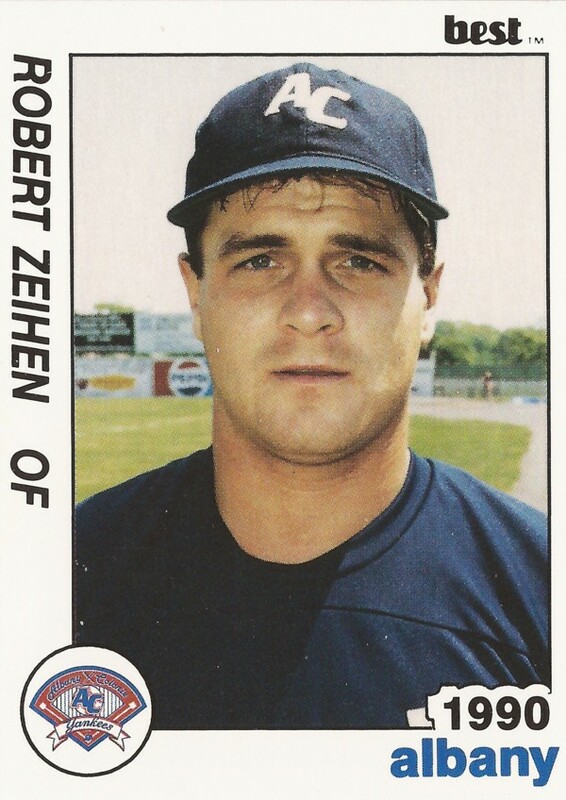 Zeihen moved to AA Albany full time for 1990, hitting .248 over 92 games, picking up three hits in a late-April contest. In August, Zeihen got promoted to AAA Columbus, playing 10 games there, hitting .265. But it was his final season as a pro. In 1993, Zeihen is listed as being named as a coach at rookie league Butte.